Cristina Cattaneo is a senior scientist at RFF-CMCC European Institute on the Economy and the Environment (EIEE). She holds a DPhil in Economics from the University of Sussex- Brighton (UK), a PhD in Economics from the Università degli Studi in Milan (Italy), and a MA in Development Economics from the University of Sussex. She coordinates an EU funded project PENNY (Psychological, social and financial barriers to energy efficiency) and she is responsible for the research area on climate induced migration. From 2007 to 2018 Cristina has been senior researcher at Fondazione Eni Enrico Mattei (FEEM) where she collaborated on various EU funded projects, such as POCACITO, PURGE, Global I-Q, ICARUS, SUS.DIV and on a project funded by the Italian Ministry of Environment for the study of the China’s energy management system and its international comparison. Cristina is adjunct professor at the Graduate School in Public Economics- DEFAP and previously taught in various universities in Italy and abroad, both at undergraduate and at graduate level. Her main research interests involve applied econometrics, the economics of migration and energy economics. She published, among others, for International Migration Review, Journal of Development Economics, Journal of International Economics, Journal of Human Resources and Resource and Energy Economics. 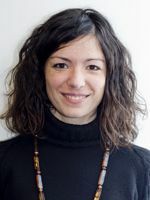 Cristina Cattaneo joined CReAM as an External Research Fellow in March 2014.